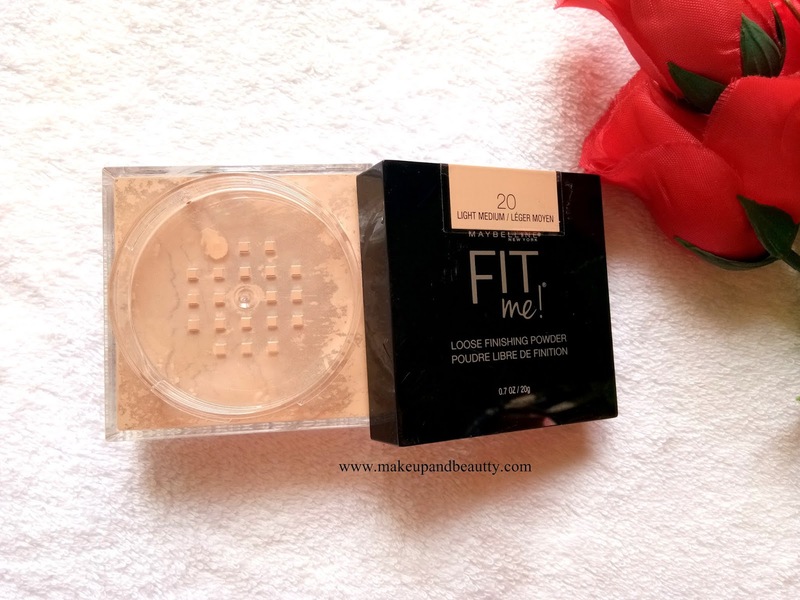 Today I am going to review Maybelline New York Fit me Loose Finishing Powder. This is a new launch from Maybelline and it is currently available in all online and Maybelline stores. I picked up shade 20. PRICE:- Rs. 695/- and you will get 20gm of products. 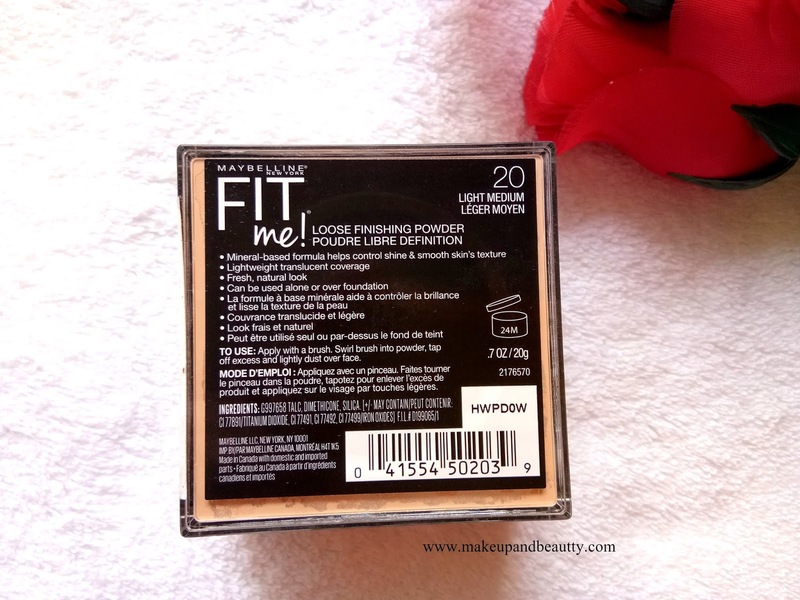 Maybelline New York Fit me Loose Finishing Powder comes in a square kind off the tub. The lid is square and so I find it little difficult to open and close the lid as due to the shape it sometimes stuck. But packaging-wise I find it is pretty similar with a few international brands. It has no sponge in it so one had to carry an additional puff or sponge to apply this powder. Maybelline New York Fit me Loose Finishing Powder launched in 4 shades only in India. So although it has so many shades we had to choose from only 4 shades. The powder claim to be mineral-powder which controls all the shine and create a smooth texture with a bit of color. The powder is very soft and finely milled one. It gives a medium coverage and a smooth finish. 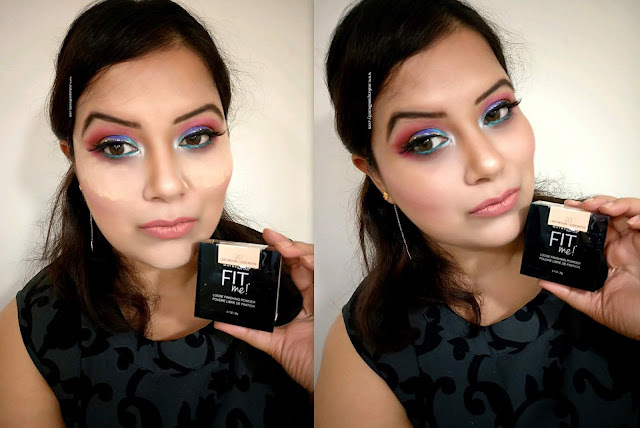 It easily blends on my skin giving a perfect matte look. It blurs out the texture of my skin too. 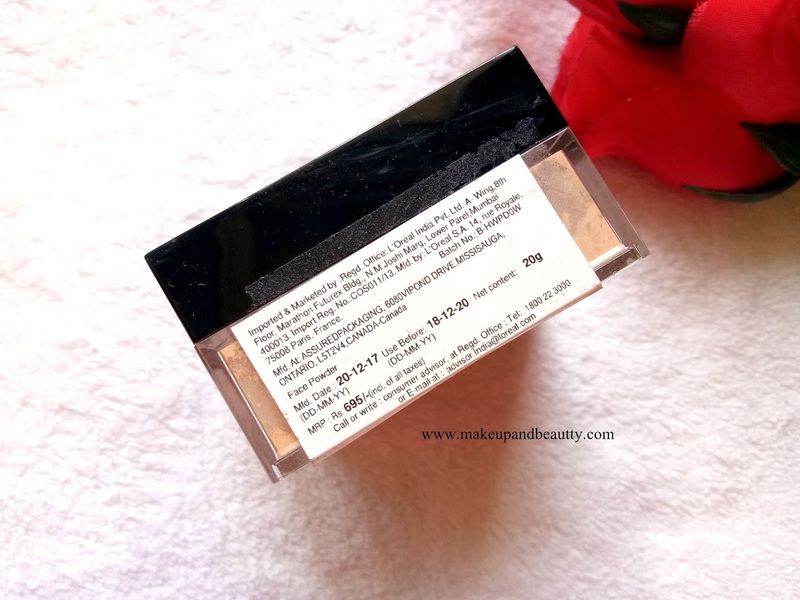 The shade 20 has a decent yellow undertone that matches with my warm skin tone and brightens up my face. 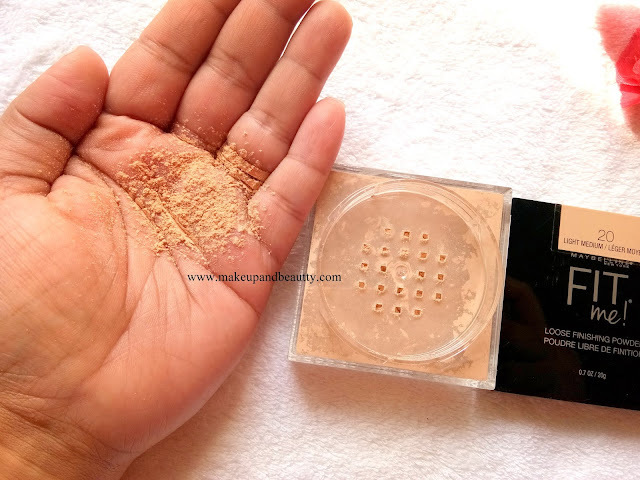 Now this powder is good for people who have oily skin as I feel it might not suit dry skin beauties. The powder keeps my skin matte for 4 -5 hours. It actually makes my makeup long-lasting. 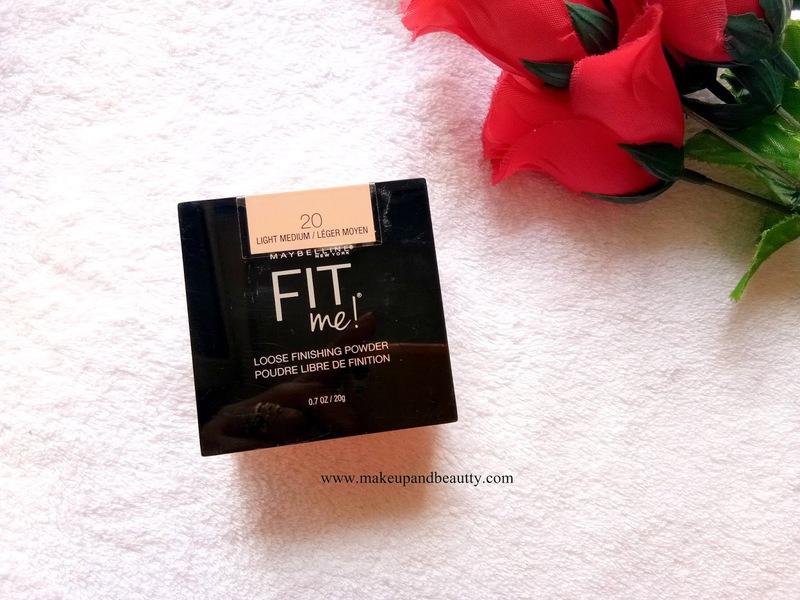 Overall I am liking this powder a lot nowadays and I feel it work exactly as other loose setting powders work on my skin. There is definitely something good in this powder but nothing to be over hyped.